President Donald Trump announced that he is grounding all Boeing 737 MAX aircraft after a deadly Sunday crash in Ethiopia, during a Wednesday briefing on the southern border. 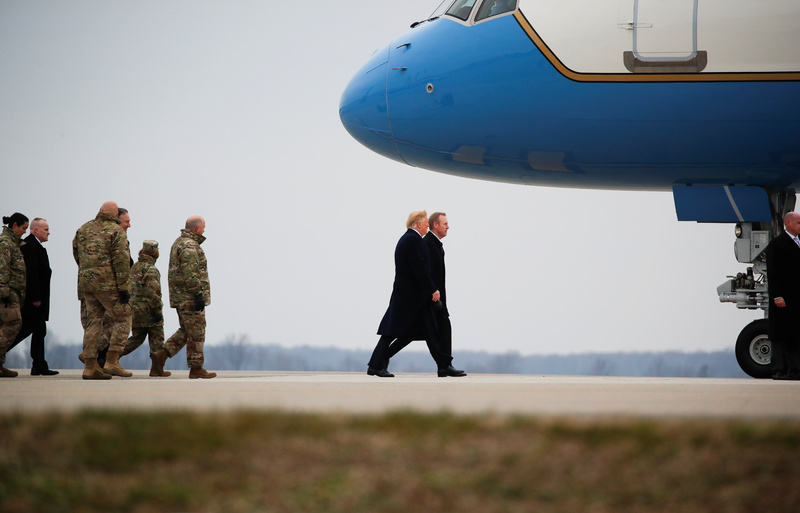 Trump said his emergency order to ground the plane would take place “effective immediately” and that the policy would remain in place until Boeing could provide additional answers. Prior to Trump’s announcement, dozens of countries grounded the Boeing 737 MAX aircraft from their airspace and investigations are underway. The Ethiopian Airlines crash was eerily similar to an October 2018 Lion Air crash in Indonesia. Both crashes occurred minutes after takeoff, killed all passengers on board, and involved pilots reporting flight control problems before losing control of the specific aircraft. Canadian authorities cited a similarity between the Lion Air crash and the Ethiopian crash in their reason for grounding the plane inside their airspace. Prior to Trump’s announcement, the Federal Aviation Administration and Boeing stood by the flight-worthiness of the aircraft.